Antipodes Halo Skin-Brightening Facial Mud Mask Review | LIPS n BERRIES! I'd be real honest, as much as I pretend to know about skincare, I keep my skincare fuss free. There are no daily masks or DIY's involved, there are no super expensive high end creams, there are no unnecessary extraaaa steps in my night time routine. Cleanse, tone, serum, moisturize is my mantra and it works for me. I truly believe beauty is skin deep. What we eat and how we conduct our life in general has a lot of effect on our skin. A happy face makes all flaws disappear..isn't it? So when I receive a mask that claims brightening and demands to be used twice a week, it feels like a chore. I oblige like all bloggers do. You've gotta test a product as per manufacturer's recommendations. Well I use it the same day it arrives as I have a pesky pimple on my chin. It looks rather cute but I don't like its pus-filled look and it hurts too..ouch! Half an hour with this mask on (probably more time that the brand recommends!) and some scrubbing to take it off , I notice my pimple is gone. Like wow! 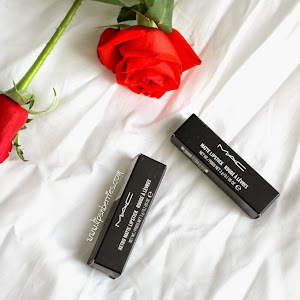 Is masking really magic? I try it again few days later on some milia like whiteheads on my forehead. Works a charm! I'm convinced, this guy is definitely onto something here. 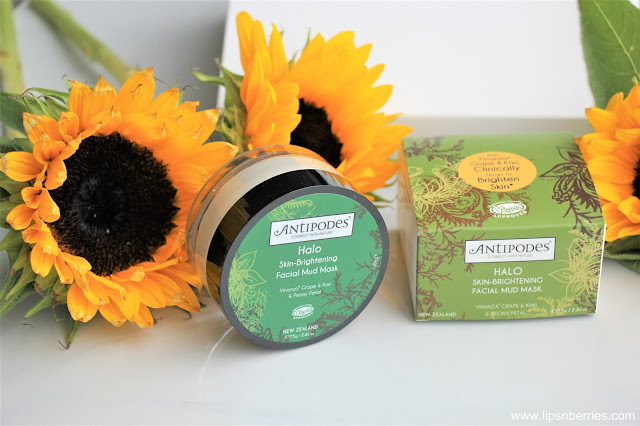 Antipodes Halo Skin-Brightening Facial Mud Mask is new-ish product from Antipodes Skincare's Brightening Range. I have previously reviewed an eye cream and light day cream from this brand. I actually finished them both so that says something. 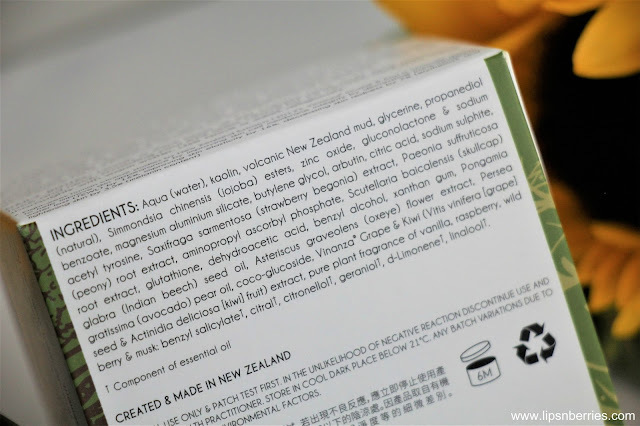 The range features Vinanza Grape & Kiwi Fruit Extract, which is unique to the this range. 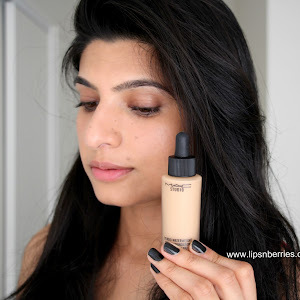 It's a skin brightening formula. Now, I can't say if this magic pimple healing mud gave me brighter skin, it probably did, with clearer and even skin tone but it's definitely got some good ingredients working in it. I actually used this guy out of choice and not as a chore. You would too if its a product you can depend on when the pesky ones show up. The mask has a light floral smell (peony!). I detest (strong word I know but I have my reasons!) heavy scents. This one has that perfect balance. It's relaxing and soothing & doesn't give me a heavy head. 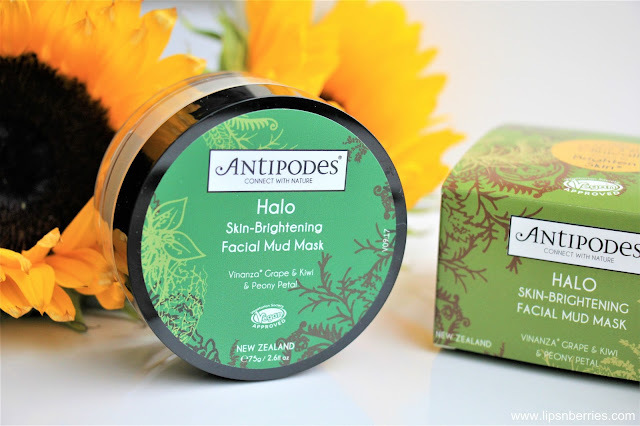 The mud mask is pastel greenish in color and quite thick in consistency. You could dilute it a bit with some hydrating toner like pure rosewater. I used it straight from jar for review purposes. The finish appears smooth but the texture is actually a little grainy (very fine scrub) so when I take it off, it actually works as a scrub + mask in one. As the texture is thick, it dries quite fast too. I often sprayed some Savar hydrating toner on it so I could put it on longer (or else it gets pretty tight on the face, impossible to smile). The mask also has an initial warming effect. Antipodes mask has NZ volcanic mud in it so it is a very fancy clay mask. 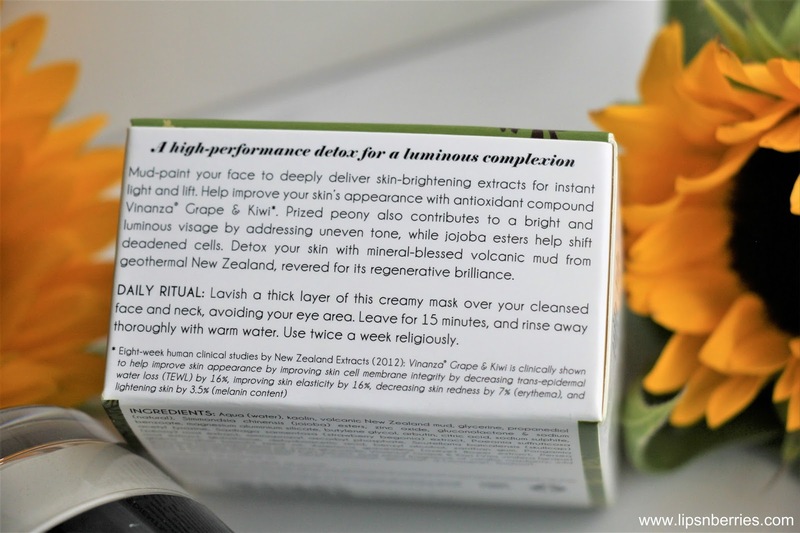 No wonder it draws out impurities from skin and pops pimples. 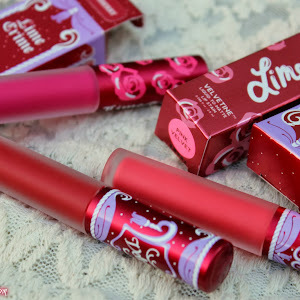 This can also be very drying for someone who already has parched skin, like mine. So, its best to take it off in shower and then follow with your moisturizing routine right after. Go heavy on that moisturizer/oil. You need some of that oil back into the skin. 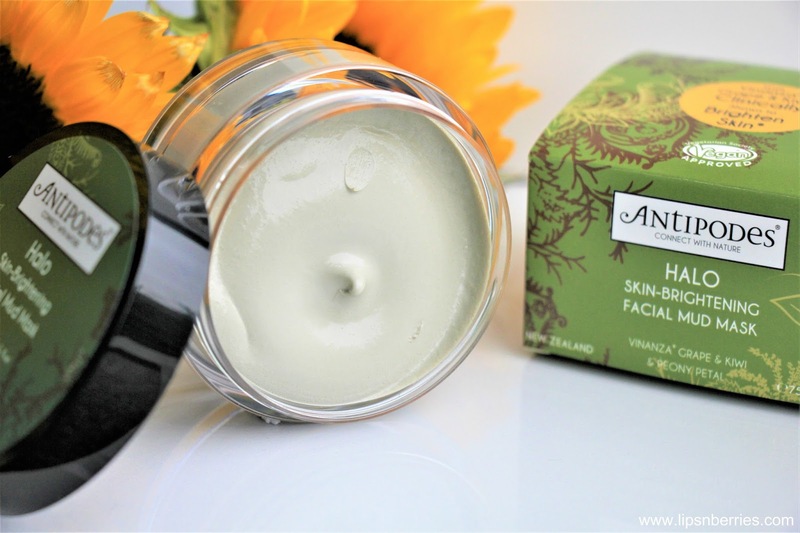 Because I've made it work on my dry skin, I think it'll work even better on oily skin! The brand recommends using it twice a week. At about $50 a tub, it is an expensive affair. 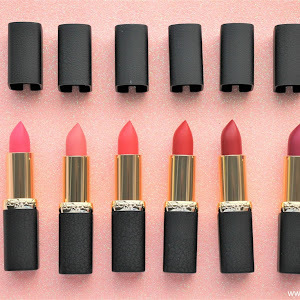 But if it is a product that you can depend on, it makes some sense to make that investment. I'll probably continue to use it once a week or when I see uneven skin creeping up, specially on my forehead or chin area. Try & see if this woks for you too. 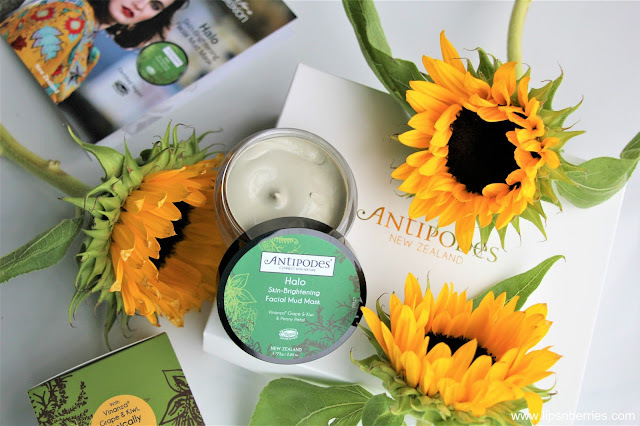 Antipodes is renowned natural skincare brand from New Zealand that is highly revered for its natural and effective skincare range. I haven't used a lot from their skincare yet but their serums are on my to-try list. 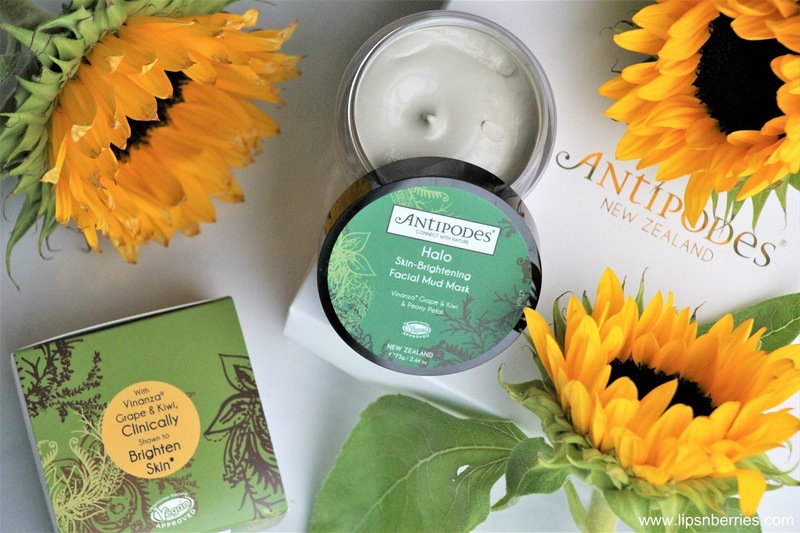 The range is also Vegan and Cruelty free (except some products that have Manuka Honey in them).